When working out the details of my closet, I knew I wanted a place to keep my accessories that was functional, but I also wanted to have some jewelry out on display. Why? Well, first of all because it's pretty! If I use jewelry to accent my outfits, why not use it to accent my closet?! Think of it as closet art. I love setting my closet up more like a boutique and less like storage. I highly recommend it. Second of all, your jewelry will last longer, and be less tangled, if given some room to breathe. Nothing is worse than digging for your favorite necklace just to find it has several knots, missing beads, and/or has broken. Not to mention, it'll be much easier to spot missing items. When I kept my accessories in closed up, small boxes, and bags, I would have no idea that I left an item at a friend's house or left a pair of earrings on a hotel nightstand. Now that I have things spread out, I can easily see what I may have left behind, and have better luck getting it back. Finally, the truth is, that I have learned that I get the most wear out of the items that are in plain sight and a quick grab. Life is busy; I'm just not going to spend the effort and time to dig through a mound of jewelry in a zillion small bags and boxes. I'll grab whatever I left on top of the counter and be done with it. Result: A bunch of fabulous things I never put on. That's what I want to avoid. You have probably noticed by now that I am all about making style easy and quick. 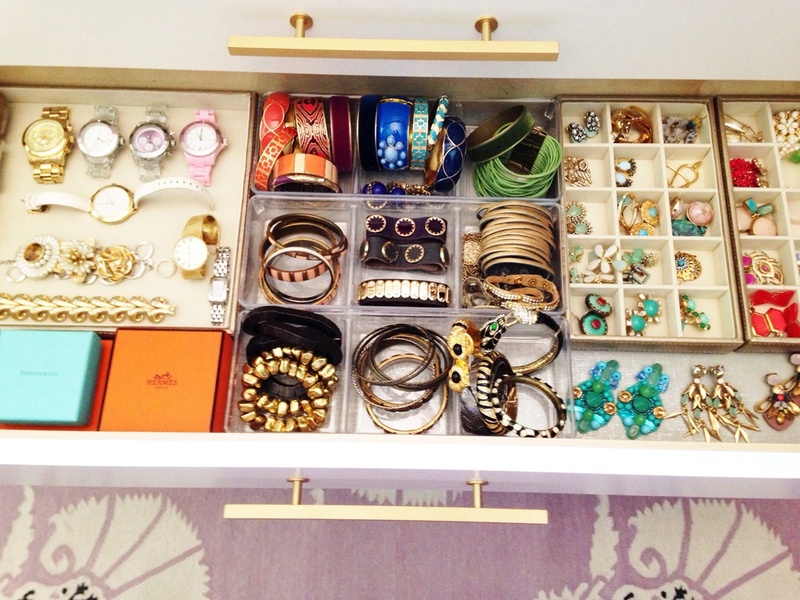 The way I organize my jewelry helps me accomplish that. I use several different displays and organizing trays. These are the ones that I have found fit my needs the best. Obviously, this is the ONLY way to organize your jewels. The key is to select something that works with your items and organizing personality. I always find it helpful to see how others have done it. In my closet, I had a chest built in with shallow drawers. We tucked it under the existing window. The inside isn't all dedicated to accessories, but the top is! 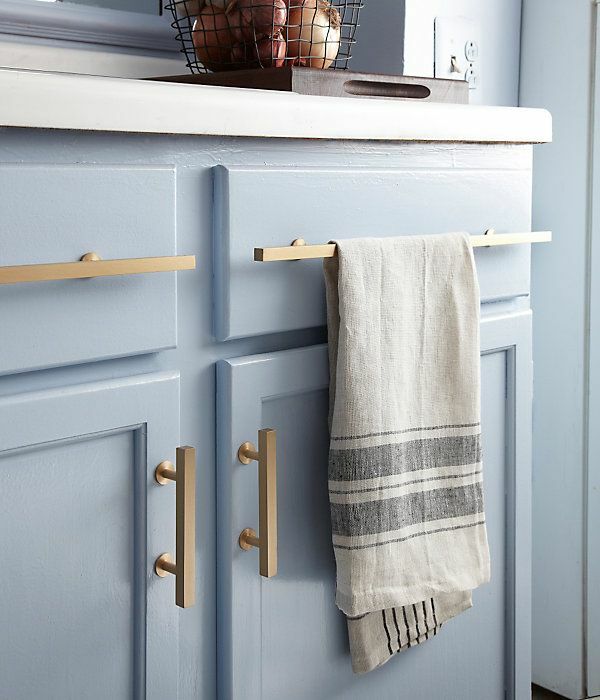 I saw these brass pulls on this image on Pinterest and knew they would be perfect for the chest in my closet. I would use these again and again. I love their look. The chest has been painted plain white for a couple of years. I kept thinking the top was missing a little oomph, and that it could use something to ground my jewelry displays and catch-alls. The roman shade in my closet is a soft gray silk with silver embroidery, and the hardware in my closet is brushed brass. I liked the idea of bringing the silver/gray tones in with the brass hardware on the chest, but I wasn't sure how to do it. I didn't really want to paint the chest. Last week, while shopping at Target, I saw this self-stick wallpaper, and thought that it might be the perfect solution. 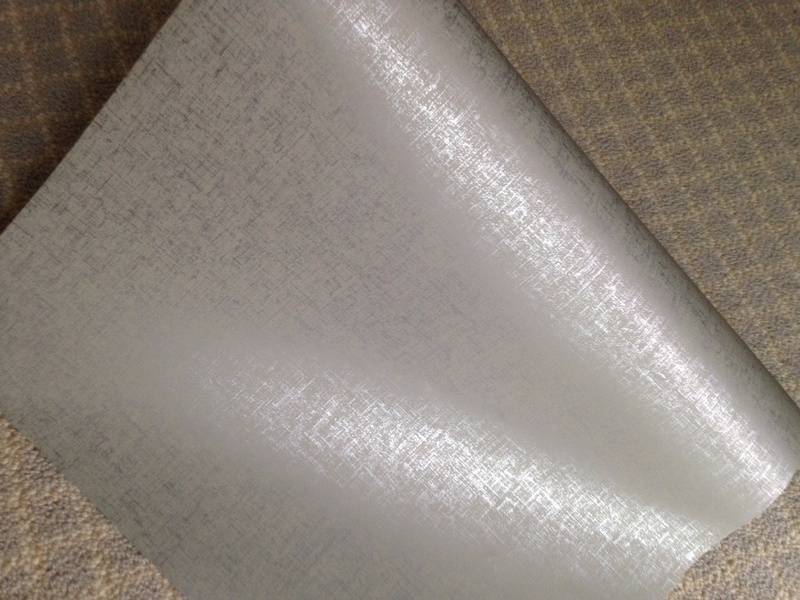 It's a flat, gray paper with metallic accents that give the appearance of texture. A little bit of glam. Cheap. Easy DIY. I love the way it turned out. It sets off the display area nicely. I also lined all of my drawers with the same paper. It's hard to tell in this picture, but I love the way the paper looks under the clear organizers. In my drawers, I use a mixture of clear tray vanity organizers and stackable systems found at Bed, Bath, and Beyond. The clear trays are perfect for bangles. I love these gold leather trays that are lined with velvet. They come in serval shapes, sizes, and configurations. I measured my drawer, and selected the size and layout that fit my needs best. If you don't put your jewelry in drawers, these can easily be stacked on a counter top. I organize most of my jewelry by color. For my jewelry "art" displays, I use a variety of pretty bowls, trays, stands, and a white bust. I keep the items that I am wearing the most on the counter top displays. It makes accessorizing a lot easier! This 3 tier white leather-like stand is awesome. If broken acrylic scares you, then this might be the winner. It holds a lot more, and the back tier would be tall enough for necklaces. It does have a much bigger footprint. I'm don't really switch up my rings much. If you have rings for every finger, you might want the ring displays that match the tiered stands, as well. I use this acrylic necklace organizer for most of my necklaces. I hung two on the side of my shoe shelf. Super easy to nail up, didn't come broken, and can hold any weight - Great purchase! I love that it's almost invisible. I like for my jewelry to speak louder than the displays it's on! I also use this white leather-like bust to display some of my necklaces. I had a linen bust from Michael's that was too small and faded in the window. This one is a better choice for me. I received this rose quartz tray as a gift a couple of years ago. I think they can easily be found. It was meant as a food serving tray, but I loved it so much that I kept it to myself. :) It perfectly highlights some of my favorite pieces. I put most of my earrings in the velvet lined trays in my drawers. But, I also have some displayed on the wall. About two years ago, I tried this Pinterest DIY out and I have been using it ever since! It's super easy to make. All you need is a frame with some depth so it will sit off the wall (I used a shadow box from Michael's), and a piece of sheet metal (or a radiator grill cover) from your hardware store. There are several designs, and they come in silver and brass tones. I love how the design of the sheet metal mimics the embroidered medallion design on the silk roman shade. And there you have it! That's how I keep my jewelry organized. Like I said, there is no right or wrong way, just find what suits you and your accessories best, and get to organizing! You'll be happy you did! You might even find some hidden treasures! I have one more DIY necklace organizer that I am testing for y'all. but I had a fight with spray paint and the spray paint won. It wasn't pretty. I'll keep you posted. Bonus: This is how I keep my jewelry organized when I travel. It's Genius! You can buy them direct from Clos-ette or be on the look out on Onekingslane.com and gilt.com, where they are often offered at a discount! You won't know what you did with your things before you purchased this! They also make a wallet sized organizer that is perfect for those times where sending your jewelry in your checked luggage makes you sick to your stomach. Baggage anxiety be gone! I believe that being organized is essential to a happy life. California Closet says, "You'll achieve more. When you're disorganized, there are always barriers that hold you back from reaching your goals. But organized people find ways to eliminate tasks that aren't necessary and to streamline those that are taking too much time. This leaves plenty of time to work on achieving all of those goals on your list." I feel like I could go on and on! There really are no cons to staying organized. It does take effort, but I have found that, if I have the foundations in place, I am much more likely to stay motivated in putting my things where they belong. Just because you have a closet, it does not mean that it is efficient storage space. Old houses, like ours, are notoriously short on closet space. If you don't utilize the vertical square footage, your closet just becomes a jumbled mess of junk on the floor. We only added square footage in one room of our house, and that was in the master bedroom. In that additional square footage, we put in a closet and a built-in for much needed storage space. I SWEAR the benefits to my sanity have far outweighed any cost in making custom storage solutions on the front end. It took a little persuading for my husband to agree that our built-ins should have a little more than just large, adjustable shelving. (His closet has two large chests of drawers, and mine is mostly hanging space.) The built-in is off of my closet and is what I use in place of a chest of drawers. I needed a space to house socks, underwear, handbags, sweaters, and other folded and stacked clothing. I needed that space to be something that held my items within easy reach. I'm only 5'2, and nothing drives me crazier than designs that require a ladder to reach the majority of the storage space. I'm tired of getting hit on the head by falling debris that I am whacking at with a coat hanger, while practicing my vertical leap! OVER.IT. Anywho, I also wanted a place to house my handbags/clutches where they were easily viewable and stored upright. If your stuff is stacked in a pile and out of reach, how much will you actually use it?! You won't. While our design is a little more utilitarian, Kelly Wearstler's closet design was the main inspiration behind our built-in design. My closet is door on left (giant, ugly T.V. not recommended.). Wallpapered panels with fret work designed by Rachel Halvorson are the doors flanking the middle bank of drawers. Here you see the inside, which has adjustable shelving for handbags at the top, shallow drawers on left, and shelving on right. Kelly Wearstler inspiration pics of adjustable handbag storage and shallow drawer design. I love her glass sliding dividers. We didn't go that fancy! Thanks to great inspiration (a good contractor and designer ), I have a really useful space. The interior part was built off site then installed in the casing. It could (I have no idea why) be converted to large adjustable shelving, if someone wanted to remove it. Our bedroom view when you first walk into the space. Built-in on right. This is not a great photo, but you get the idea of the built-in being unobtrusive in the room design. Having a storage space tailored to what I own to store my things has been one of the best decisions I made when renovating our house. It didn't take that much extra thought to finish our built-in in a way that would actually fit my needs. I think the key is to look at what you have, know what you are trying to accomplish, and to buy storage solutions that meet those needs. I didn't need a giant drawer to keep my socks. A four inch drawer takes up way less space and holds socks perfectly! I like these door designs. So much more than just a wall of cabinets! Taking advantage of vertical space doesn't have to be custom. 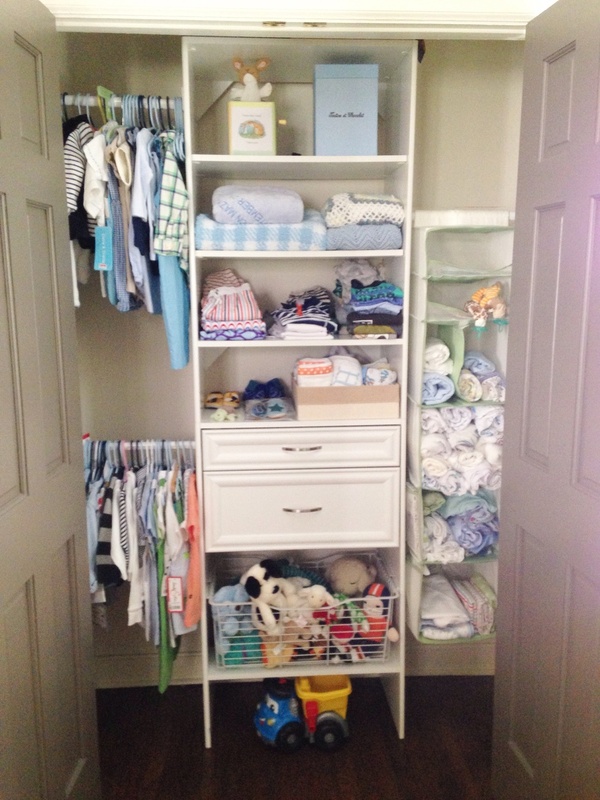 In Hudson's room, we used a closet system from Home Depot and it has worked well! 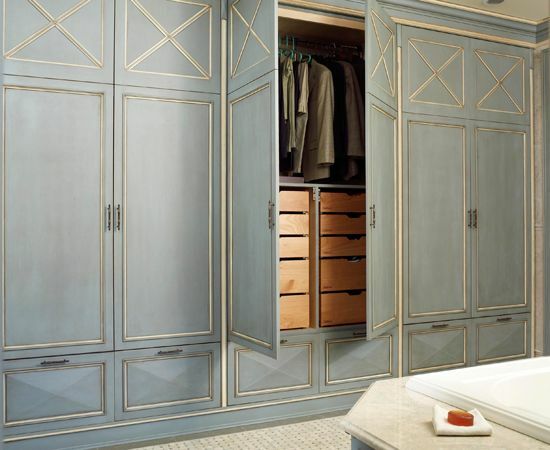 We measured the closet and chose something similar to this one by Martha Stewart. Baby clothes are tiny (obvi). One tall hanging rack was useless. For very little cost, we increased the closet's usefulness tenfold! There is still dead space in the top half of the closet, but for about $150 bucks, this solution can't be beat! We chose this one with a pullout basket so that Hudson could have easy access to some toys. It has worked out great. We hung an organizer on the full length rod space on the right. Our master bedroom built-in design could be recreated on the cheap by using shoe organizers as handbag storage. Sometimes you just need to reimagine what the storage item can be used for. I hope you found some inspiration and tips to help control the clutter! Be on the look out for future posts on staying organized at home and what has worked for us! Hope everyone is having great week! In unrelated news, Huddy is going to be TWO in a little over a month. I'm having all sorts of mixed emotions about it. Mostly, I look back at baby pictures from his early months and marvel at how much he's changed. Everyone was right - it goes by in the blink of an eye. While I am enjoying every leap in development and growth, I'm know I am going to miss that baby every day of my life. I had another style post ready to go, but decided that a 'before and after' might be more fun! Y'all, prepare to have your mind blown. Our home was an over two year renovation project that is still being improved. I really believe that the best, most personal interiors evolve over time; they're constantly changing and getting better. The result is a more collected and personal interior that really feels like home. We have used Rachel Halvorson from conception to present day. 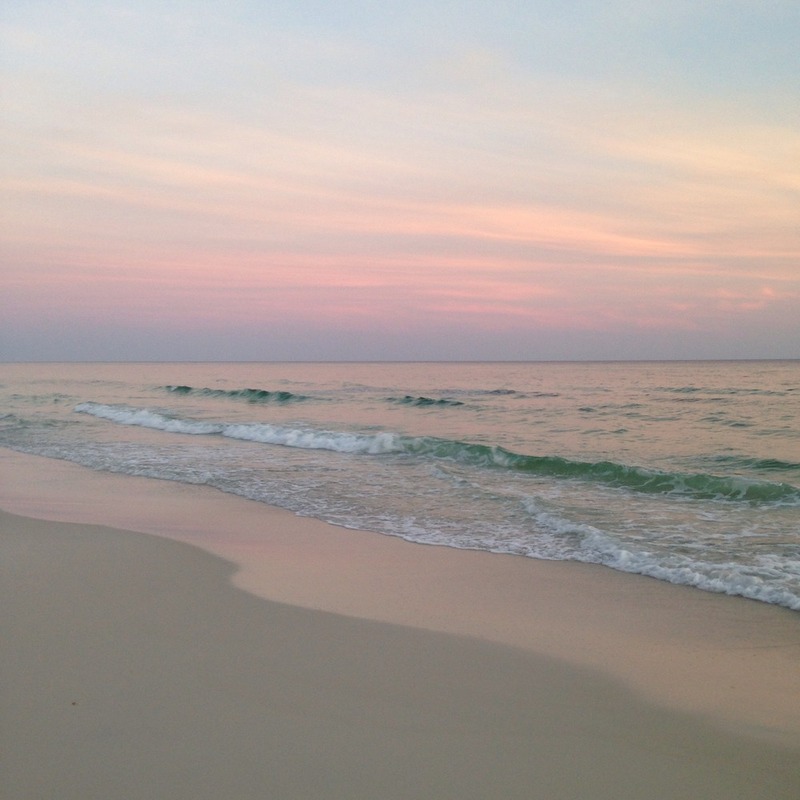 I don't have time today (packing for BAHAMAS! Whoop, Whoop!) to share with you all the ways in which Rachel is one of the BEST, if not THE best interior designer I've ever come across, but I'll share some things that come to mind immediately. Rachel is creative beyond just putting together things that look good. WAY beyond is an understatement. She's hilariously witty, beautiful, kind, artistic, and I am lucky to now call her my friend. We hired her back in 2010 from only seeing her blog and I can honestly say that she exceeded every hope and expectation by leaps and bounds. She is an interior designer that can translate a clients specific tastes and ideas, even if they differ from her personal style. That is so incredibly rare. It's easy to repeat the same pretty look in 10 different houses. Creating a personal, uniquely stylish house for each client, now that takes true interior design genius. She took the time and interest in our home and it shows. She can see potential in the grimmest circumstances. Rachel makes things happen. She figures it out. If you can imagine it, she'll make it translate into real life. I still remember that night when I sent her a power point (yes, you read that correctly, ha) asking if she'd be interested in our project. I'm thankful she said yes every.single.day. I could not love our house more. O.k. I said more than a few words. She's that good. I'll share more in the future when house tour posts continue. These pictures will show the evolution of our playroom. The end result is a happy, colorful, FUN, playroom that is uniquely ours. The most impressive part to me is how she managed to re use our old stuff in an new, fresh way. Did I already say genius?! I'm going to try to show before, middle, and after shots from similar vantage points. Playroom design when we purchased the house. Stuff from my old apartment and from our first house as a married couple. It doesn't even seem plausible to be the same room! Roman shades moved to another room. Chairs, rug and coffee table given to family. Lamps used in another room. Sofa stays. New rug, custom end tables, drapes and pillows. EVERYTHING else repurposed from our first home! For fun - Below is a picture of the chairs and coffee table in our first house as a married couple. This view from the stair landing shows the same green sofa seen in above pictures. Playroom is front right room. We widened the doorway and removed the door to make it seem less like walking into a bedroom. There is a jack and jill room through the playroom and down the hall. Hudson's room can be seen down the hallway in the first 'after' picture. Where the green sofa sits is now a built-in. Here are some progress shots. Widening the doorway. Here, with the furniture gone, you can see a clear shot to Hudson's nursery, which was the previous owner's second story laundry. Below is the view if you were standing in the room looking where the green sofa use to sit. This is the beginnings of our built-in. Notice the wider doorway on left. Now the opposite view. This is from standing in front of the built-in looking out the front of the house. This view is from standing in the jack and jill hallway looking back through the playroom and to the stair landing. One of my favorite things in this room is my Hermes scarf framed as art. As you can see, I am always switching art and accessories around. That's half the fun! I love that things in my home look great in multiple places. It makes it so that I'm never "done." We LOVE this space. It's just a happy room. Agreed?! These two fluffs love it. Hope you do too! Hope you enjoyed the tour! Happy Tuesday!